Constructed with a unique asymmetric tread pattern, the ZX7 works to rapidly channel water away from the tyre in order to resist aquaplaning and its innovative coupled silica compound enables enhanced grip on wet surfaces. This tyre was awarded an 'A' grade for its 'Wet Grip' by the EU Tyre Label. 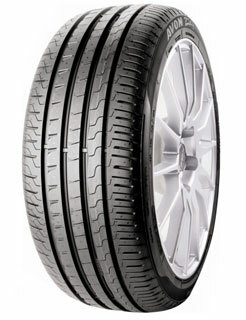 Thanks to its specialist 3D sipes, which feature interlocking three dimensional points, the ZX7 offers enhanced handling capabilities and also promotes even tyre wear, resulting in longer tyre life.